I do love a chunky yarn….. and it doesn’t get much chunkier than this! 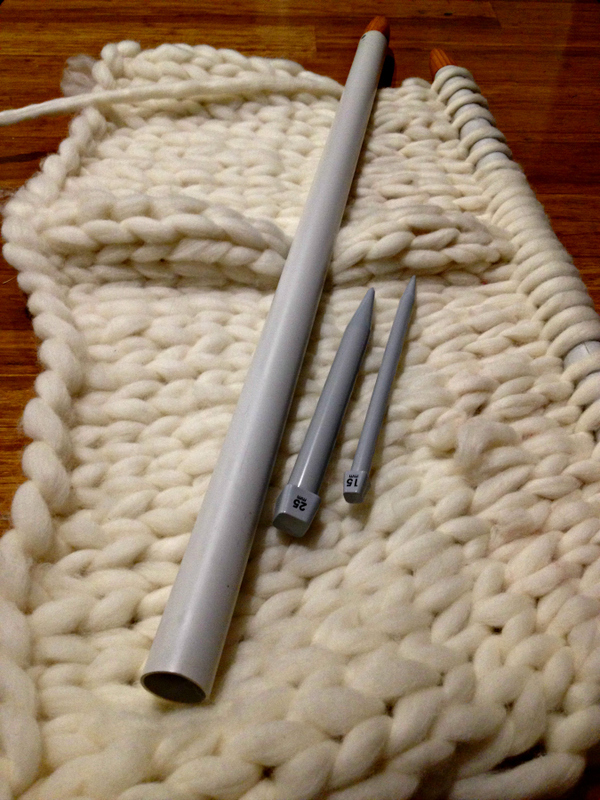 And the bigger the yarn… the bigger the needles you need. So I sent hubby back out to the shed again to see what he could come up with this time and once again he didn’t let me down. Fashioned from drain pipes these mega needles are the bees knees. 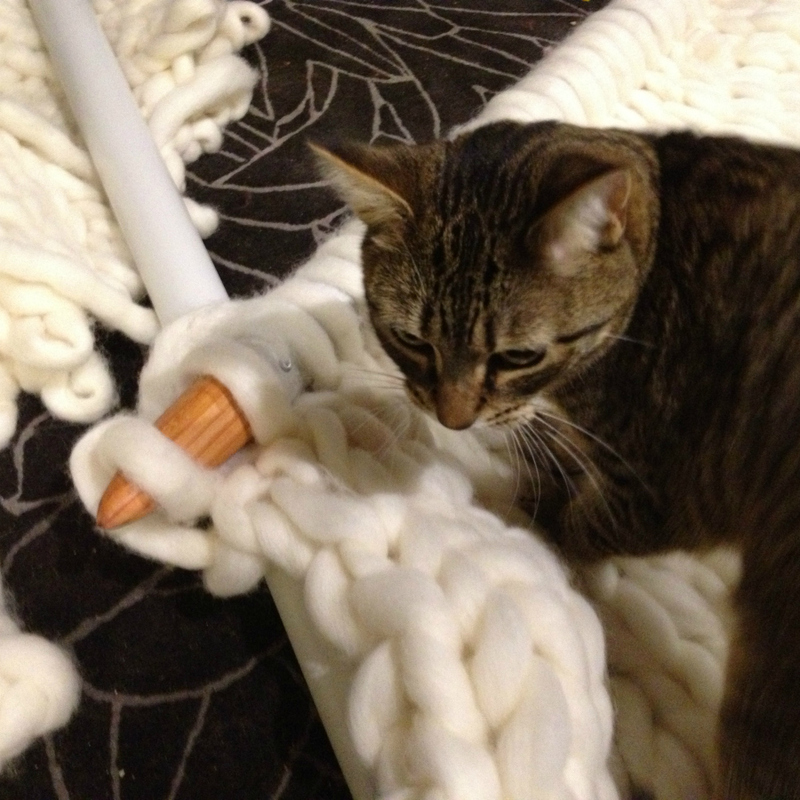 Marley the cat thinks this whole project is pretty good too. Now I just need some more time to get back onto this – but stay tuned – I am thinking chunky knitted wall hanging for above the bed…. and who knows – might come in handy on a cold night! 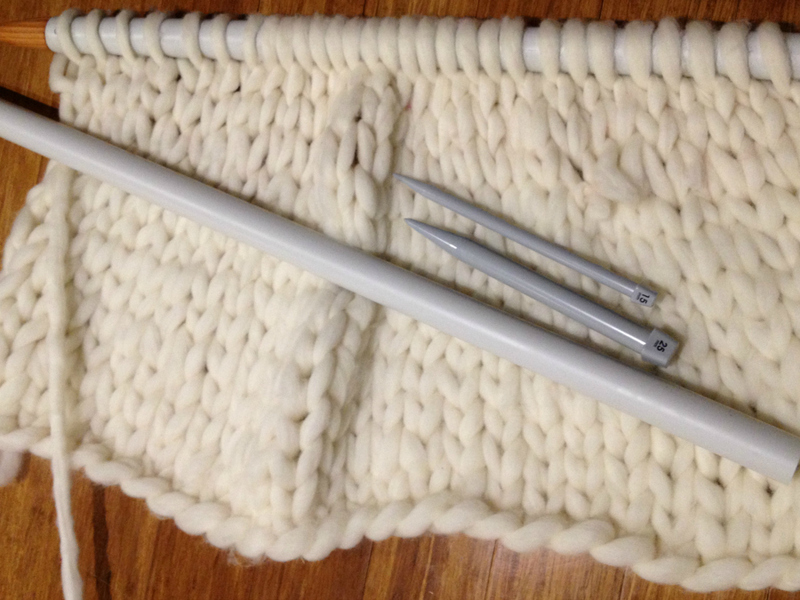 PS – came across arm knitting in my research on big needles. Am thinking its the next logical progression…..